Heavenly blog! : Nr. 463: Jerusalem without the Palestinians and mosques! Nr. 463: Jerusalem without the Palestinians and mosques! Jerusalem without the Palestinians and mosques! Ofra / West Bank: These drawings show the terrorist convicted Yehuda Etzion plan for Jerusalem without mosques and Palestinians. Along with several others, he plans to remove the Palestinian's sanctuary, and building Solomon's Temple on the site. 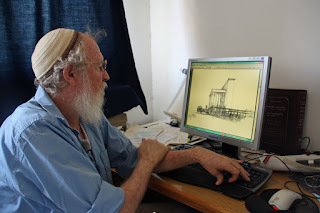 NEW TEMPLE Yehuda Etzion and seven other right activists write and draw a book about how Jerusalem will look like without the Palestinians and Muslim shrines. While Norway, EU and the Palestinians working for a Palestinian state concentrates Etzion and more right activists around a master plan for the Jews rebuild the Temple of Solomon where the Muslim al-Aqsa Mosque and Dome of the Rock is today. The drawings show the new temple, and an a road around with both parking spaces and vantage points for pilgrims. The 200,000 Palestinians who live in Arab neighborhoods of East Jerusalem is not part of the plan. Etzion envisages that the time will stay elsewhere. Muslim's third holiest site - and the Palestinian's sanctuary - the al-Aqsa Mosque is removed from the map. Instead, the Jewish third temple - Solomon's Temple - well placed in the temple. - The Muslims took our land while the Jews were in exile. But we're back. This is our country. That's the truth. Palestinians who remain can be here as guests. But not with the same rights as we should have, obviously. And a new temple will be built on the Temple Mount in Jerusalem, explains one of the key behind schedule - Yehuda Etzion firm and determined. 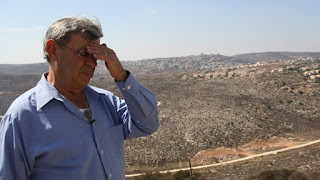 Ofra: In the illegal settlement Ofra in the West Bank live Yehuda Etzion. He has both his home and office. Throughout his adult life, he worked for a greater Israel. The 61 years old man who has spent most of his life to fight for what he believes is sacred land. He is a founding member of Gush Emunim organization that began to establish settlements in the West Bank and Gaza Strip. In addition, he has been pivotal in the Jewish underground group who planned to blow up the Dome of the Rock. In 1984 he was convicted of terrorist planning. Still, he is deeply convinced that the West Bank - which in the Bible is referred to as Judea and Samaria - are Jews. The same applies to Jerusalem. The plans now formulated in a book he hopes will put an end to all the talk about a Palestinian state and the two-state solution. And he is not alone in wanting Palestinians away from both the West Bank and Jerusalem. Proudly showing he presented the draft of the book he and several other settlers in the West Bank stock along with architects. The book contains both strategies and blueprints for how the West Bank and Jerusalem only to be Jewish kingdom and country. Dressed in blue shirt and khaki pants would Etzion us welcome both to both the kitchen and his garden. The house is located in one of the first settlements in the West Bank, and is also one of the most controversial. Ever since Ofra was built in 1975 it has been a battle zone between settlers, Palestinians, Israeli officials and Israelis in Tel Aviv. The international community believes that Israel violates the Geneva Convention when they allow Israelis live in larger and smaller cities and communities in the West Bank. Both the International Court in The Hague, several UN institutions and the Red Cross condemns the practice. But the Israeli government has stood firm, they believe they have the law on his side. But the settlement Ofra has not received the same support all the time. The then Prime Minister Yitzhak Rabin would not give it political support, and the Israeli human rights organization B'Tselem has determined that it is built on privately owned Palestinian land. Along with Etzion's Israel Harel one of the founders of Ofra. 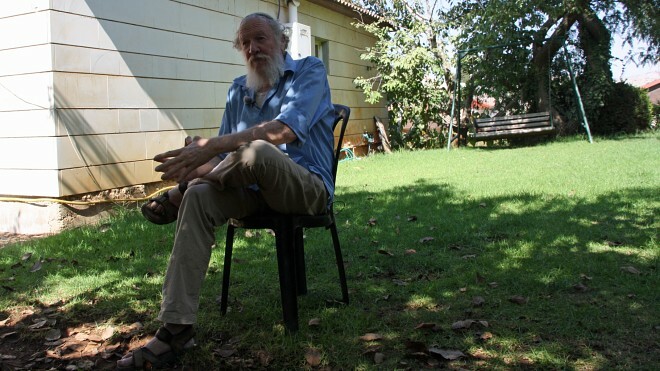 Ever since his house was built as one of the first in the settlement, he has rejected demands from Palestinians and others on the right to the land. And when the Oslo Accords came and divided the West Bank into A, B and C zones convinced that Harel even more about his and the Jews the right to live in the West Bank. 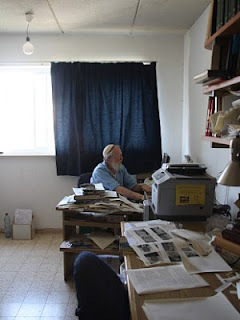 PLANNER: Inside this office in the settlement Ofra printed book that Yehuda Etzion and seven others behind. Hope is a Greater Israel with Jerusalem as its capital. 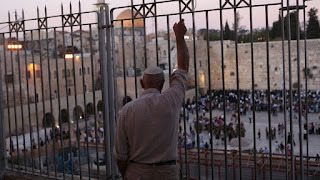 PROBLEM: For many Jews, it is difficult that the al-Aqsa Mosque and Dome of the Rock is where Solomon's temple once was. The Oslo Accords were the West Bank into three areas: A, B and C. The Palestinians were given control of the A and B - with the exception of overall security in B. In C area received Israel control. Thus also got Israel control over 60 percent of the West Bank. For both Harel and Etzion it is clear that the Palestinians have to look around for other lands for their own state. - If the Palestinians want a viable state of their own, so it should be a combination of areas A and B and Jordan. It will be a major Palestinian state, and we will live with it - side by side in peace. Although we then give up many of our rights, we will accept it. But of course the C area belong to us, explaining Harel. PALESTINE IN JORDAN: Israel Harel believes the Palestinians should look after its own state in Jordan coupled with some areas of the West Bank. - Muslims can have Mecca, while Jews should have Jerusalem. As it is today, it is a sin against the Torah and the Jewish people. Jerusalem should be built by the Jews, and Toras laws must be followed. People can also go there, but the Jews must have control. When Muslims, Christians and Jews all realize that there will be peace. 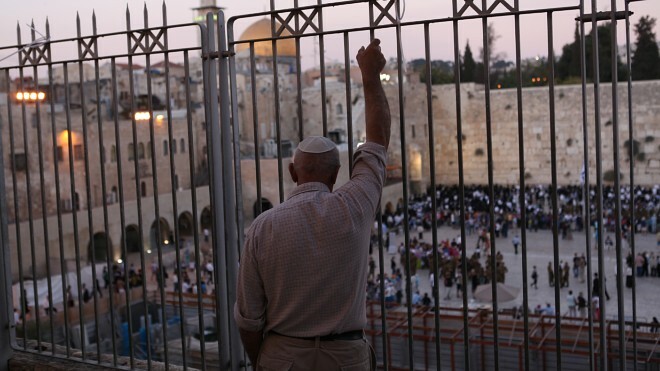 The country will be called Israel, and the heart will be Jerusalem, said Etzion. Blow up the al-Aqsa Mosque In 1984 he was arrested for having planned how the Rock was blasted into the air. It was hoped that if Muslims' third shrine was blown up as it would trigger a war between Israel and its Arab neighbors that Israel would go victorious. And thus both Jews build their Holy Temple on the Temple Mount in Jerusalem and establish the kingdom of Israel. Today Etzion not want to talk much about his past as a terrorist. Instead, he shows proudly papers, drawings and pictures in the office showing how Jerusalem will look like with just Jews. The curtains are well drawn, and he explains that the group is working on the book primarily talking online. They meet rarely - and never all at once. The plan is controversial among both Palestinians and Israelis. - I hope our plans conducted in a peaceful manner, and not of war. But there will be wars until Jerusalem will be only for Jews. It is this that is the major problem, but unfortunately no politicians looking. Israel must take it seriously and to understand it. Politicians speak of houses and destruction. But it is Jerusalem this question. It must be a great state - Israel, with Jerusalem as its heart. - Should al-Aqsa Mosque removed by force? - It is wrong building in the wrong place. I hope they will change where it should be in a peaceful way. I hope Muslims understand it and recognize it. But unfortunately it is unlikely match Etzion. SAFETY: The Israeli settlements have high fences and security gates. 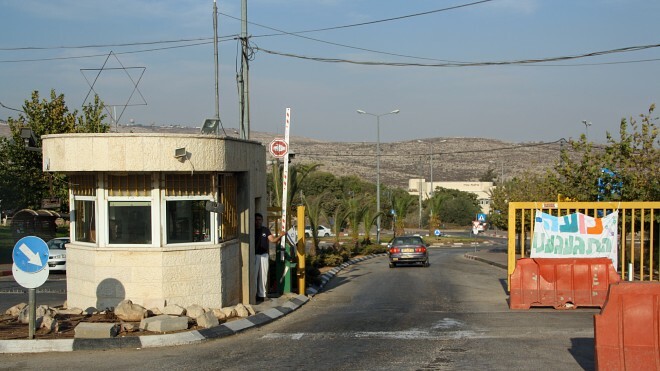 The settlement of Ofra is not an exception - and only invited concede. Each year Norway 650 million aid money to the Palestinian territories. 250 million of which goes directly into the budget of the Palestinian Authority in the West Bank. Norway hopes the money will help Prime Minister Salam Fayyad, among other things, to pay bills, salaries, building institutions, and contribute to one day become a Palestinian state in the West Bank. The money is welcomed by Fayyad, but in settlements in the West Bank mean people Norwegians are naive. - My message to the Norwegians who work for a two-state solution is the following: Do not support something where most of their money goes to terrorism, bribery and corruption. It's wasted money. The money also provides Palestinians power and time to not agree on a solution. If the money stopped coming, they would be forced into a solution. And the only solution is that there will be a Palestinian state in Jordan and the A and B sites, says Harel.